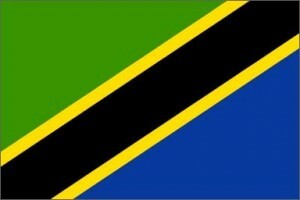 Nyerere Day – Tanzania – every day's a holiday! 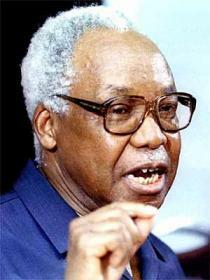 ni vizuri tukamkumbuka mwalimu Nyerere kwani ndio muhasisi wetu ni mkombozi wetu wa kisiasa amepigania Uhuru wa watanganyika. MUNGU AMREHEMU AMIN. To me the Mwalimu Nyerere was a prophet who rescue the poorest Tanzanians, for that time it was absolutely difficult to afford education expenses,the few educated Tanzanians are the results of ujamaa based community where education,health,and other social services are free.Employment opportunities were free for all but now isn’t, you have to apply corruption,friend ship,and technical know you marnourvers.we still need ujamaa in or country to dissolve these in differences arising in our community, soon our unity, peace and integrity will fall apart. Rest in peace Mwalimu. Historically Tanzania entered in the era of ” ufisadi” from 90,s where the Zanzibar declaration found,many Tanzanian by that time were un educated,not able to asses mass media.Politicians and business men took advantage to hook our wealth and uprooting our natural resources, which is going on now, Tanzanians we have to measures, these people are bankrupt our country.Future generations will be in miserable life especially of poor people. we remember him dearly for his principled lifestyle and dedication tpo his people and his country.it will take years if not centuries to get such a leader. Mkomboz wetu Mwalimu, Baba Wa Taifa letu Watanzania. Ni muhimu kukumbukWa kWa ushujaa Wa kweli. although i was younger,i could not understand many things by that time but i read his history in school and what i can comment about him is that he was God chosen man for our country, he was a leader,a father somebody you can take his word and go far, we miss you daddy.